Here’s a great add-on deal for last minute Christmas shoppers! 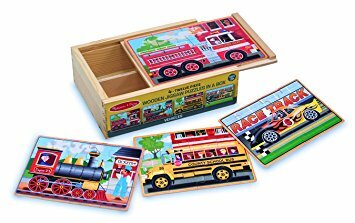 Right now, get the Melissa & Doug Vehicles 4-in-1 Wooden Jigsaw Puzzles in a Storage Box for only $6.40. (That’s 22% off the listed price). Please note that this item is an Add-on item. Add-on items ship with qualifying purchases over $25.